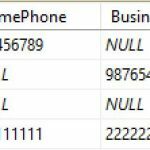 SQL CASE provides the author of the query with the ability to perform conditional logic in their SQL queries for SELECT, INSERT, UPDATE, DELETE. 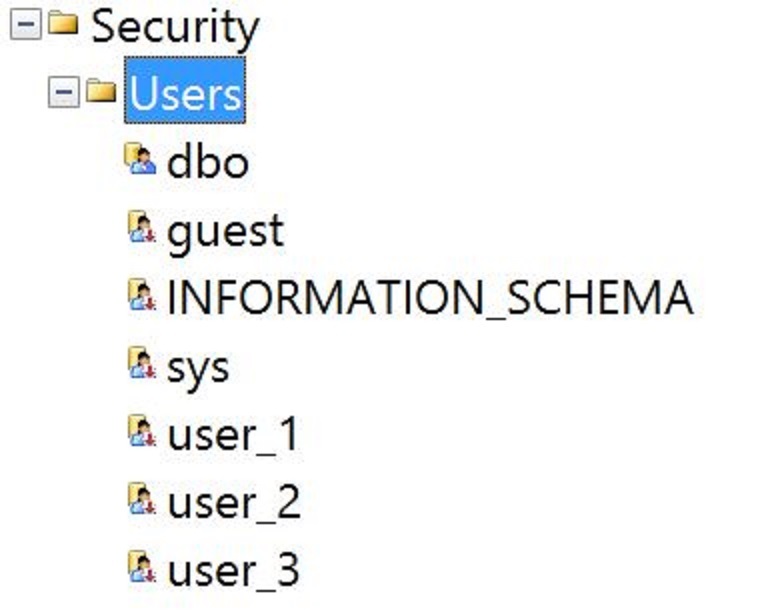 It is also possible to use it with SET, IN, HAVING, ORDER BY and WHERE. 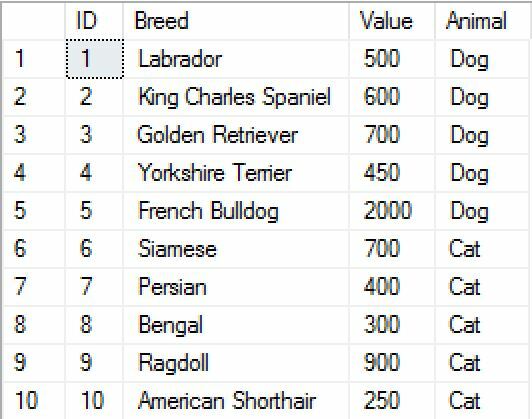 What that means in practice is that you can test a value such as “Labrador” and output a value such as “Dog”. Let’s look at an example. Here is a table script and some data I added. What that means in practice is that you can make a test such as <= 10 and output a value such as “£0 – 10”. With the sample data we have been working with, this format can be used with it. The test against the ID column produces a Boolean result and this enables us to produce the same result with less code. This Boolean matching can be really useful when dealing with numeric type data types as it allows rows to be grouped easily based on the numeric value. 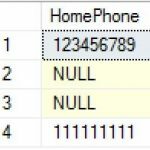 Can you spot the bug in the SQL code? What if for some reason another record were added with a value of less than zero. This record would appear in the £0 – £399 price bracket. It is possible to use CASE with ORDER BY to order results based on if then else logic. 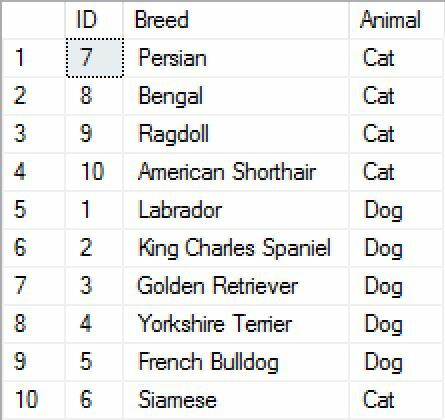 Extending our last query to have an ORDER BY included, the criteria here is to ensure that the ‘Persian’ breed is the first row. 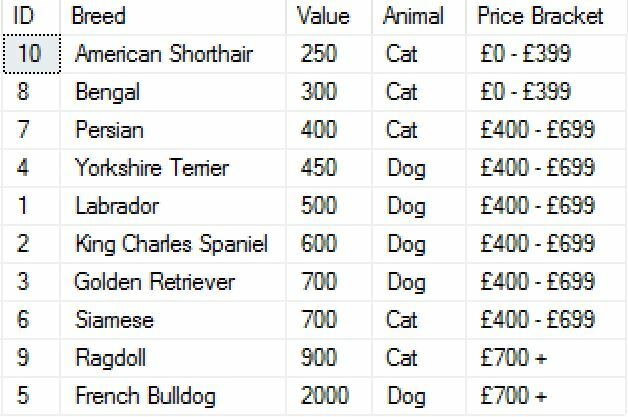 If you remember, the data was supplied without an ‘Animal’ column and we’re having to calculate this in the SQL. 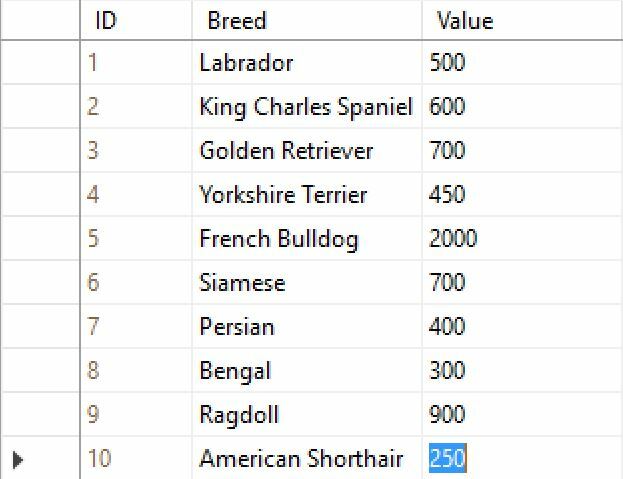 It would be better to create a new table to contain the animal description and create a relationship between our Breeds table and the new Animals table. 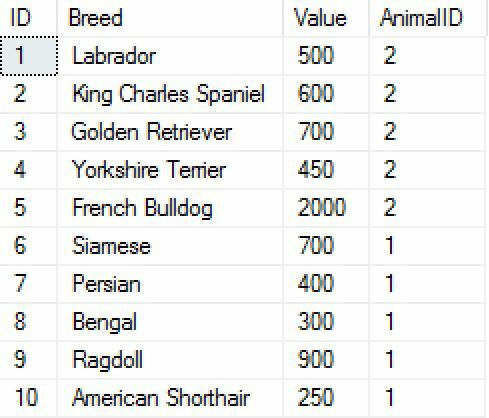 We now need to add a new column to the Breeds table to house the ID from the Animals table to complete the relationship.